Is Take-Two Interactive Software, Inc. (TTWO) A Good Stock To Buy? 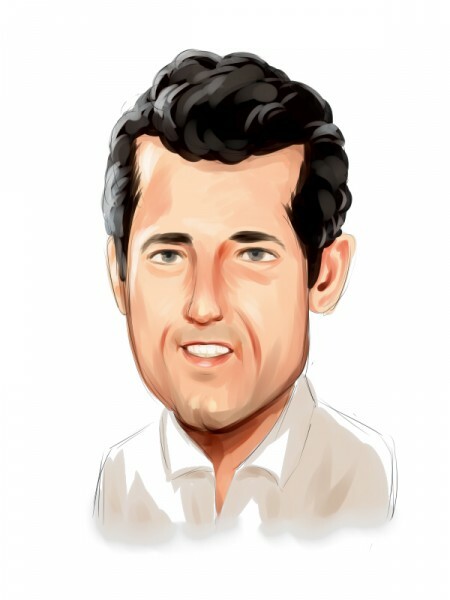 Let’s take a glance at the new hedge fund action surrounding Take-Two Interactive Software, Inc. (NASDAQ:TTWO). At the end of the third quarter, a total of 58 of the hedge funds tracked by Insider Monkey held long positions in this stock, a change of 4% from one quarter earlier. 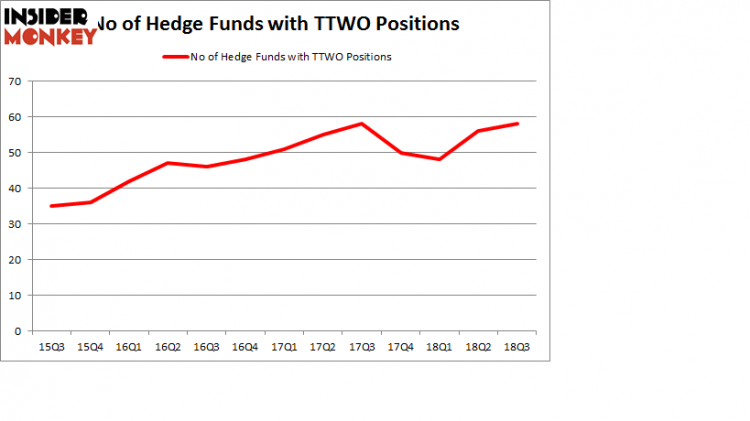 The graph below displays the number of hedge funds with bullish position in TTWO over the last 13 quarters. So, let’s examine which hedge funds were among the top holders of the stock and which hedge funds were making big moves. According to Insider Monkey’s hedge fund database, Ken Griffin’s Citadel Investment Group has the biggest position in Take-Two Interactive Software, Inc. (NASDAQ:TTWO), worth close to $264.8 million, corresponding to 0.1% of its total 13F portfolio. Sitting at the No. 2 spot is Eminence Capital, led by Ricky Sandler, holding a $141 million position; 2.3% of its 13F portfolio is allocated to the company. Some other professional money managers that are bullish consist of Josh Resnick’s Jericho Capital Asset Management, Paul Marshall and Ian Wace’s Marshall Wace LLP and Panayotis Takis Sparaggis’s Alkeon Capital Management. As one would reasonably expect, key hedge funds were leading the bulls’ herd. Jericho Capital Asset Management, managed by Josh Resnick, created the most outsized position in Take-Two Interactive Software, Inc. (NASDAQ:TTWO). Jericho Capital Asset Management had $136.2 million invested in the company at the end of the quarter. Alexander Mitchell’s Scopus Asset Management also made a $78.4 million investment in the stock during the quarter. The following funds were also among the new TTWO investors: Brandon Haley’s Holocene Advisors, John Hurley’s Cavalry Asset Management, and Bruce Garelick’s Garelick Capital Partners. Let’s go over hedge fund activity in other stocks similar to Take-Two Interactive Software, Inc. (NASDAQ:TTWO). We will take a look at Maxim Integrated Products Inc. (NASDAQ:MXIM), Host Hotels and Resorts Inc (NYSE:HST), First Republic Bank (NYSE:FRC), and Fortinet Inc (NASDAQ:FTNT). This group of stocks’ market valuations are similar to TTWO’s market valuation. As you can see these stocks had an average of 25.5 hedge funds with bullish positions and the average amount invested in these stocks was $683 million. That figure was $2.34 billion in TTWO’s case. Maxim Integrated Products Inc. (NASDAQ:MXIM) is the most popular stock in this table. On the other hand Host Hotels and Resorts Inc (NYSE:HST) is the least popular one with only 21 bullish hedge fund positions. Compared to these stocks Take-Two Interactive Software, Inc. (NASDAQ:TTWO) is more popular among hedge funds. Considering that hedge funds are fond of this stock in relation to its market cap peers, it may be a good idea to analyze it in detail and potentially include it in your portfolio.